Good news for fans of K-Pop BTS group in Indonesia. 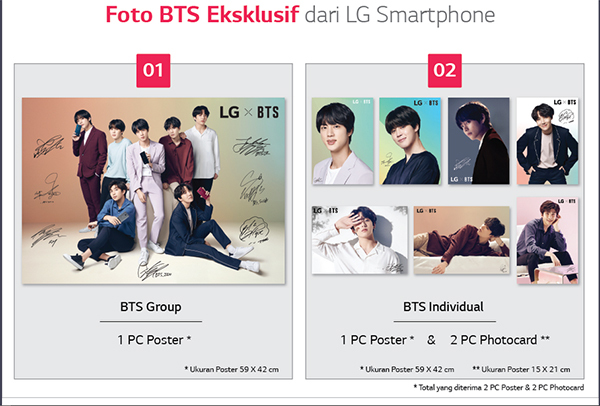 Finally LG Mobile Communications Indonesia announced the commencement of marketing of the LG K9 special edition BTS. Offered at a price of Rp 1,399,000 exclusively only in JD.id, various trinkets from the K-Pop group of Top Social Artist Award titles at the 2018 Billboard Music Awards became the attraction of this smartphone. "LG K9 in Indonesia we prepared a special all-round. 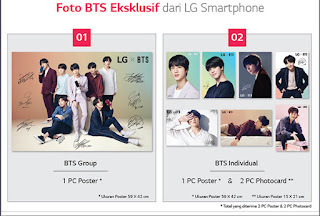 Not just the right mix of specifications with prices that can reach more people, but also our special offerings for the ARMY as a BTS fan in Indonesia, "said Heegyun Jang, Head of LG Mobile Communications Indonesia. The presence of LG K9 in Indonesia is the first time for LG in this year gush smartphone targeting the wider user at a price range below Rp 1,500,000. Available in two color choices: Aurora Black and Blue Morrocan Blue, 5-inch span in High Definition resolution to be the first appeal of this smartphone. Not only the richness of color on the screen, visual satisfaction comes through the determination of two cameras with 8MP sensor on the back and 5MP for swafoto (selfie). For business performance, LG K9 special edition BTS is fully supported processor manufacturer famous Qualcomm Snapdragon 212 with 2GB of RAM. What makes it worthy of the title BTS special edition, is on the completeness of various special K-Pop group trinkets whose latest album "Love Yourself: Tear" directly perched in the first position of Billboard 200 list. Included in it is the availability of options to download themes and wallpapers special BTS. 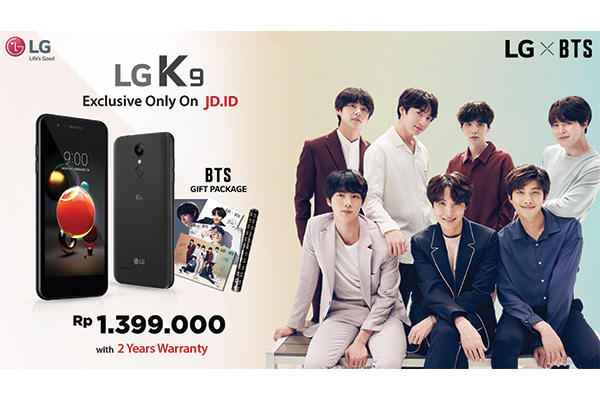 Not enough with that, one big poster and two post cards that feature the members of the BTS was also a sales package LG K9 special edition of this BTS. To ensure comfort in using the LG K9, LG also provides 2-year warranty. Besides also, the completeness of data packet data completeness package from Telkomsel up to 65GB. Unlike the previous smartphone, LG K9 BTS special edition is not offered in the pre order option. Deliberately made so, according to Heegyun Jang, can not be separated from LG's desire to accelerate the arrival of LG K9 in the hands of buyers throughout Indonesia. "Arriving faster makes LG BX special edition K9 is ready to be part of a big celebration with the family soon to arrive," said Heegyun Jang again. 0 Response to "With JD.id, LG K9 Special Edition BTS Officially Glides"